In this section, we’ll learn about two more prompts of Depth and Complexity that pair beautifully: Rules and Patterns. Because they share some similarities, I like to introduce them together and lean heavily on what makes Rules and Patterns different. 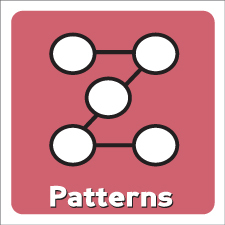 The Patterns thinking tool prompts students to look for repeating elements within a topic – ideas, events, thoughts, actions, etc. that tend to happen over and over. At school, we usually follow the same daily schedule. After school we might have a pattern of getting home, eating a snack, then starting homework, and then enjoying free time before dinner. Hamburgers have many patterns. They are often served with french fries, topped with lettuce and tomatoes, and sold at fast food joints. But, patterns don’t have to always repeat. Some school days don’t follow the usual schedule at all! Sometimes we don’t go straight home after school. And some hamburgers break the usual patterns. They’re paired with fancier toppings, served on lettuce rather than a bun, or sold at an elegant restaurant. In fact, when a pattern breaks, it’s often the most interesting moment of all! Why did the pattern break? What were the effects? Will the pattern resume again? I love emphasizing broken patterns in lessons. So, patterns often repeat, but they don’t have to repeat. We can see patterns in peoples’ lives, patterns within a story, patterns in the periodic table, or patterns in a math topic. A character might follow a particular pattern that defines who they are, then suddenly break it! This is an interesting moment to study. Or you might go larger and look at how several characters follow similar patterns. 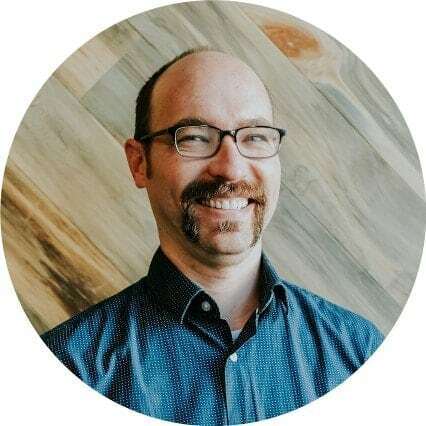 A story’s protagonist, for example, usually starts in a lowly position, meets important friends, develops a previously unknown talent, and ends up taking some heroic action. One US President might follow a pattern in their lives, but we could also draw students’ attention to patterns across historical leaders. What patterns can we find in Cleopatra, George Washington, and Martin Luther King, Jr.? In science, all of the creatures living within one biome are likely to follow similar patterns. Planets and starts follow patterns. Extreme weather follows repeating patterns. Math is rich with patterns. Just explore a hundreds chart or Pascal’s triangle and look for the dozens of patterns that repeat. You can ask students to search for patterns in nearly any context. And remember: broken patterns are often very interesting. Why does Pluto not fit the pattern of other planets? How does Cleopatra not fit the pattern of other leaders? How does the platypus break familiar patterns? Rules, on the other hand, have to happen – or there are consequences. 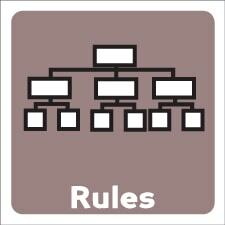 Rules can include laws and requirements, but also norms and hierarchies. Perhaps there is no “official rule” that we can’t jump from desk to desk in the library, but you’re definitely going to get kicked out if you do! An employee treats their boss in certain ways (even though there’s no “official rule”) or they quickly find themselves without a job. So I do want to emphasize that a rule doesn’t have to be written out and posted. There are many things that must be done that we don’t explicitly call out. The school day is a perfect opportunity to contrast Patterns and Rules. At school, we follow a schedule, but that schedule can change depending on assemblies, music classes, or shortened days. It’s a pattern. However, there are also rules at school. We always have to have lunch. We have to keep our hands to ourselves. Teachers must take roll every day. In a story, a character may break a pattern of thought or behavior, but they’ll stay true to certain rules they choose to follow. An author may break expected patterns in their story, but some rules of writing must be followed our the story becomes incomprehensible. You might note the rules of certain poetry, of research writing, or specific rules of grammar. Social Studies is rife with rules. We see new laws introduced, social codes, hierarchies within governments. Within a city, what rules does a building have to follow? This is different than the patterns we usually see in buildings. What are the rules of traffic in different countries? Within a biome, animals may follow certain patterns, but they have to follow the rules. They must consume energy in some way, for example. An animal in the tundra must have a way to keep heat in. In math, there are many examples of patterns, but rules are different: they’re things we must do. Rules is perfect for highlighting algorithms and steps that students must follow. Compare and contrast the rules vs. patterns within a topic. Examine broken patterns within a topic. What are the effects of a broken pattern? Look at the causes and effects of a rule. What would happen without the rule? What happens now because of the rule?